When you are talking off road racing, the off road hub of Sea Lake and the McClelland name is not too far from any conversation. For Cameron McClelland, 2018 has been a breakthrough season, and on Saturday, he and navigator Kane Louttit will line up in their Rimco Class 1 machine #154 at the Teagle Excavations ARB Pines Enduro for the first time since 2014. McClelland and Louttit are one of the most inform crews going around in 2018, and their record speaks for itself. 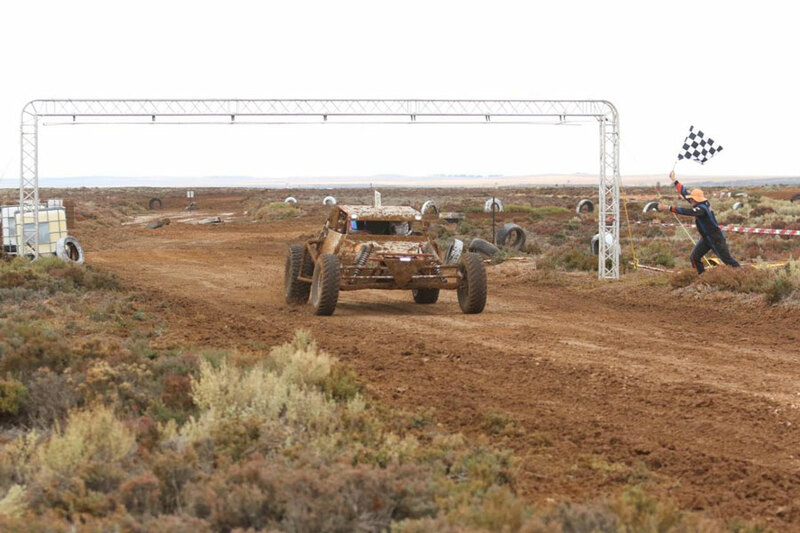 The team’s 2002 built A-Arm Rimco was initially run as a Class 2 though was quickly progressed into the Class 1 category featuring a 5 speed Albins Sequential and a 3.5 litre Nissan VQ35 prior to the ARB Paringa 400 in 2014. 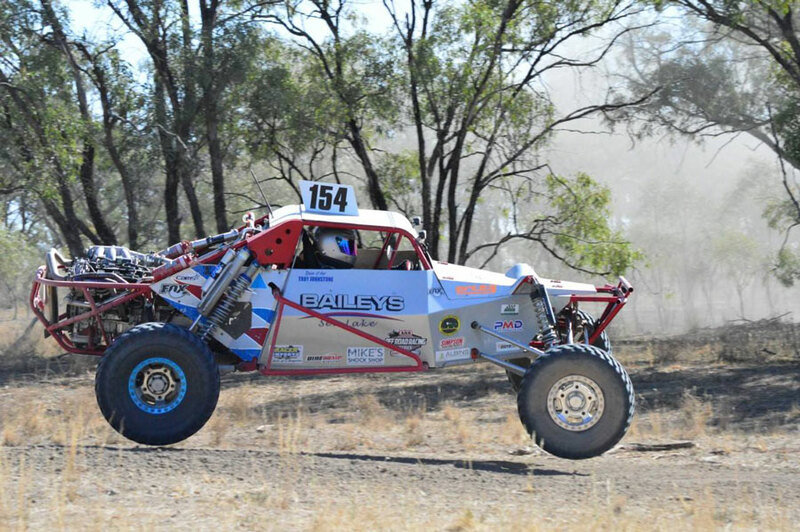 McClelland has been vibrant in the off road racing scene since birth, travelling and camping with the family at events as his father Andrew ‘Mac’ competed. It wasn’t until 1996 when Cameron had his first taste as a navigator alongside his brother Alistair, who still actively runs a Class 2. 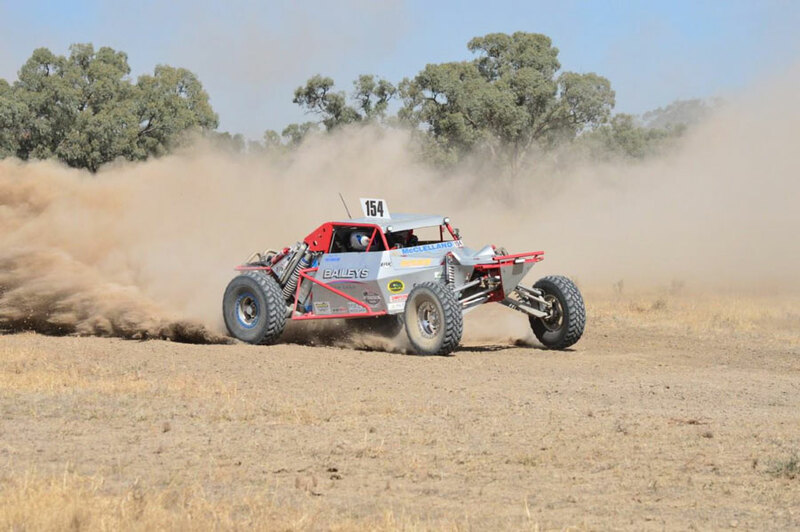 With such a long family history, McClelland was always destined to get behind the wheel, and his moment came at the Mallee Rally in 2001 in a Hunter Rivmasta Class 2. 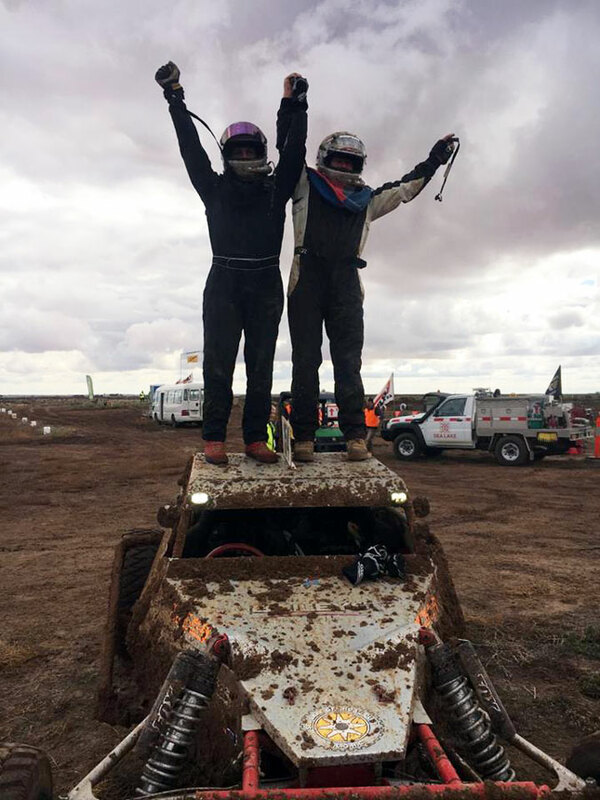 When McClelland and Louttit launched off from 8th position at this year’s Sea Lake Mallee Rally, little did they know they were only 400kms from a famous victory! It was a far McClelland’s biggest triumphant to date, well deserved after several frustrating DNF’s over the past seasons. Claiming his local race in front of family and friends was made extra special for the family after the unfortunate sudden passing of McClelland’s mother only weeks post the event, memories they will all cherish forever. Results didn’t stop for there for McClelland who to date has scheduled his season around the Victorian Off Road Club Shield, a third outright finish at the Mellool Short Course in April, second outright at Sunraysia, fifth outright at the Glenroy Off Road Masters in July before a recent outright victory at the Moyston Short course; it has been a dream season for McClelland. Many are hoping there is another big finish in store for the team this weekend at the ARB decider. 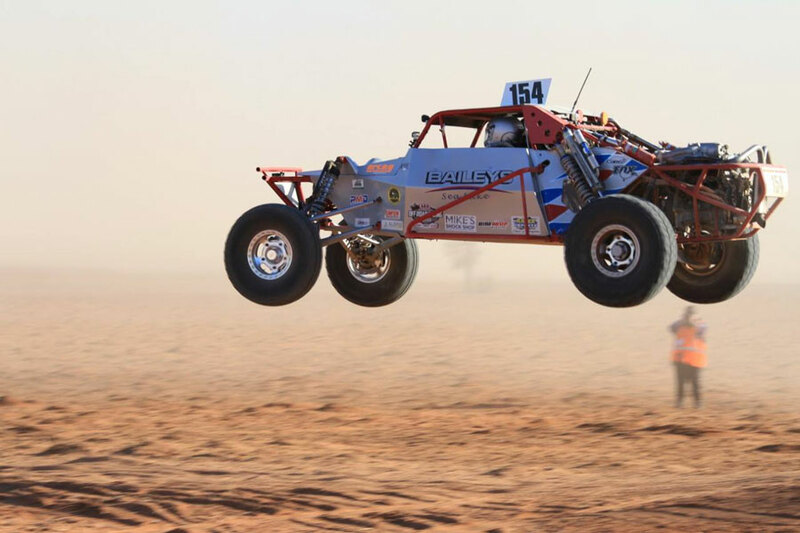 For McClelland, he sees adapting to the sandy terrain and being able to preserve the car to the finish as the track degrades as the Pines greatest challenges. With a reputation of being a dust free event, McClelland’s aggressive driving style will suit the wheel to wheel action to a tee, and will be right in the mix if things go to plan. McClelland, and crew are proudly supported through the year by Mac at McClelland Contract Harvesting, Luke at Erceg Motorsport who has played a huge part in getting the car to where it is today, Kane Louttit who puts in a power of work on and off the track, Rodja McClelland for his technical work, Greg Harris for his fabrication skills, Cam Ritchie at Racer Imports, Jeff Newick for the Mickey tyres and Sportzprint. A massive thank you also to Van and Callum Nixon, Stuart and Alistair McClelland, Craig Hoare, Tony and Mel Schmidt, Craig Miles and Mark Hubbard who are always willing to give a hand. Last but not least, McClelland could not go racing without his loving family, partner Tarsh and kids Chloe, Tyson, Dylan, Karlia, Natalie and Mayah for their endless help and support. See you at the Pines!